Conspicuous in its absence from his regular season rotation, Gil laced up a fresh pair of "Cool Grey" Air Jordan XIs for Game 1. Gilbert Arenas sat out Orlando's final two games of the regular season, so it's been a while since we've seen the Sneaker Champ on the court. 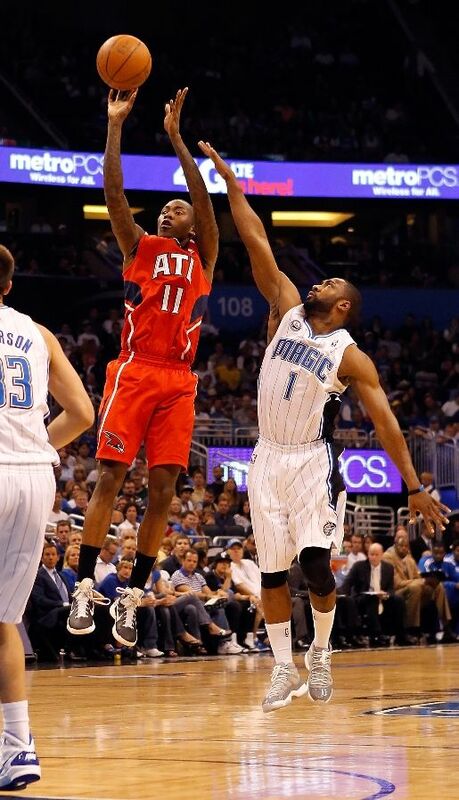 Gil's return to the NBA Playoffs came against the division rival Atlanta Hawks, who had taken 3 of 4 from the Magic in the regular season. If the Magic are to make a big playoff push, they'll need Gilbert to play more like Agent 0 and less like...whoever he has been since joining the Magic. For the playoff opener, you knew Gilbert probably had something special lined up. Conspicuous in its absence from his regular season rotation, Gil laced up a fresh pair of "Cool Grey" Air Jordan XIs. 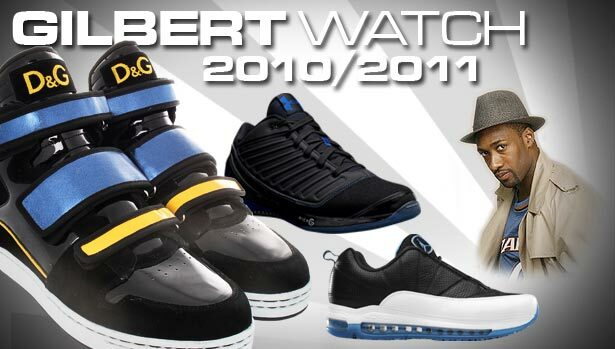 The "Cool Greys" join the "Space Jam" and "Silver Anniversary" colorways that Gilbert wore this season. Arenas didn't have much of a role in the game, playing just 12 minutes on the night. 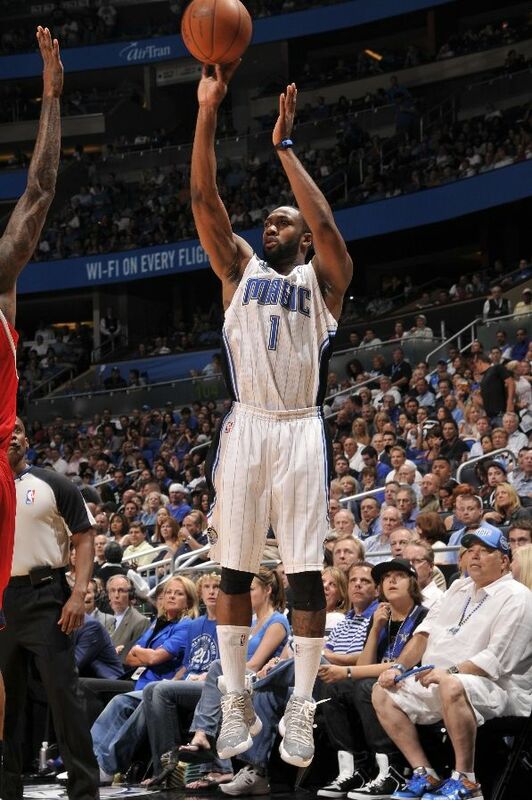 He netted 6 points and dished out 4 assists, but turned the ball over 3 times as the Magic dropped the opener 103-93. The series resumes on Tuesday.